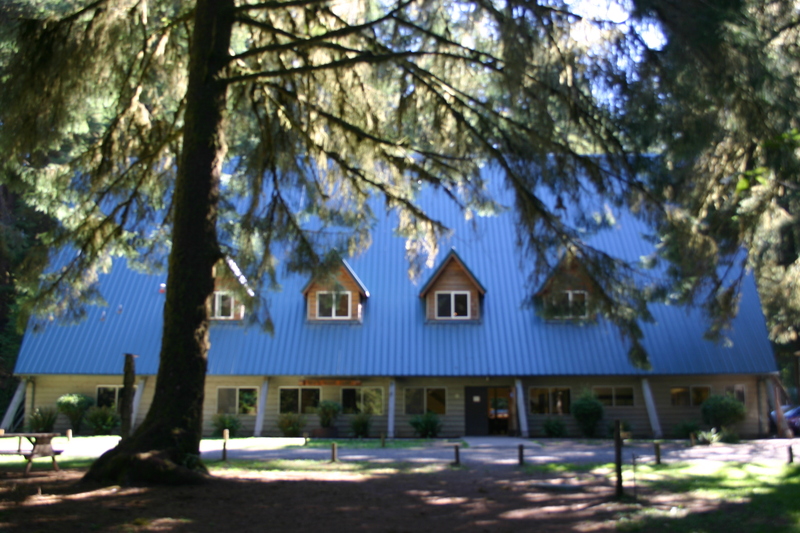 Our lodge, a large A-frame structure with three floors offers a variety of sleeping arrangements from 2 private handicap accessible rooms on first floor, 12 rooms of varying sizes on second floor and three larger dorm style rooms on third floor. There is a large activity and gathering area on first floor along with a large kitchen certified for public food service. 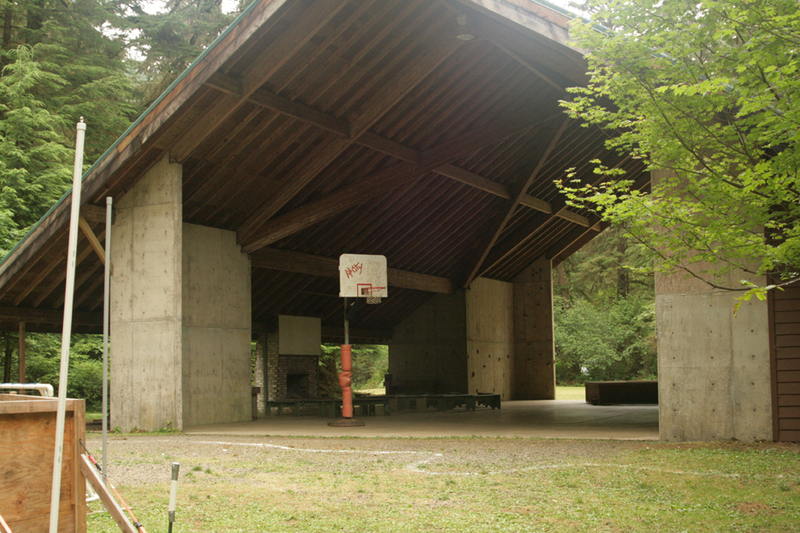 Our multi-Purpose Activity Center is a semi enclosed structure with open space for recreational activities such as basketball, volley ball, wall climbing, and other group games. Also used as a semi outdoor meeting space with a fire place. 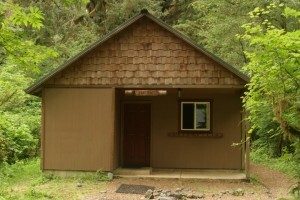 There are four all weather sleeping cabins with propane fireplaces located along trails in the forested area, each with a sleeping capacity of 12 persons using bunk beds. 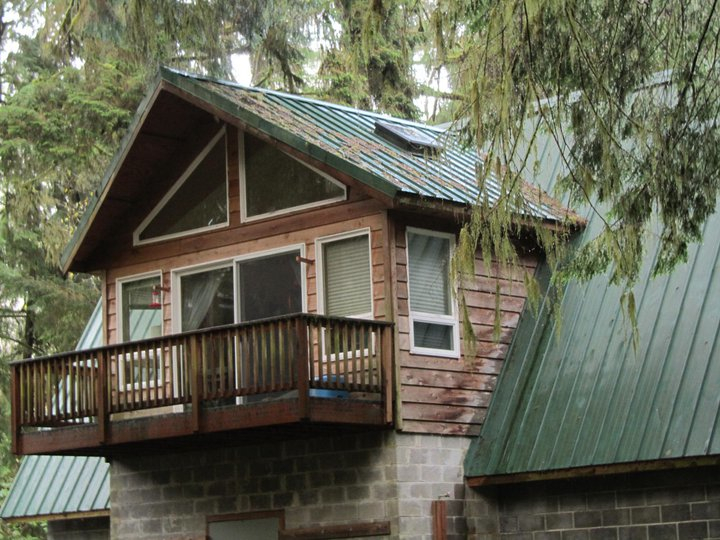 There is also one A-frame cabin and one yurt structure with out heat, which also sleep 12 in bunk beds. Our central shower and restroom facility on the ground level floor of this building houses a room with multiple toilet and shower stalls for boys on one end and girls on the other end. 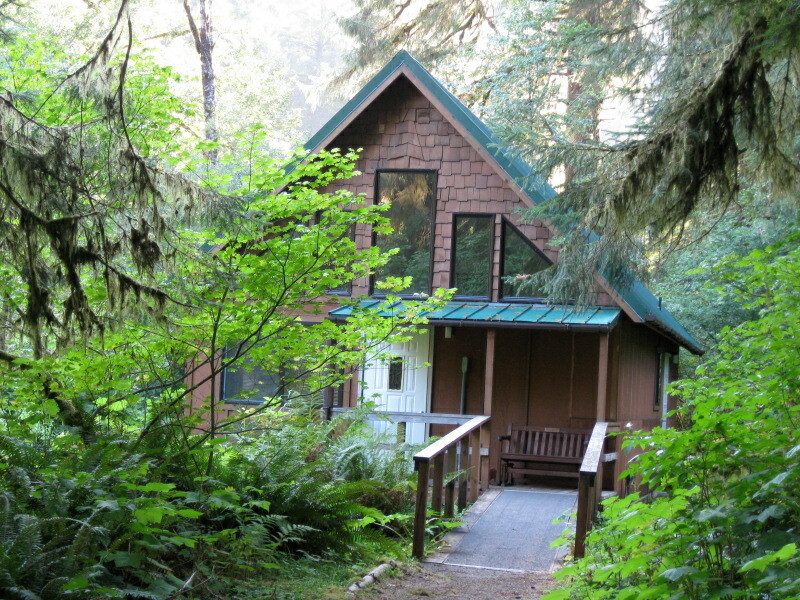 Yamhill Cabin is the sixth cabin, rebuilt for year around use and includes a small kitchen and wheel chair accessible restroom. 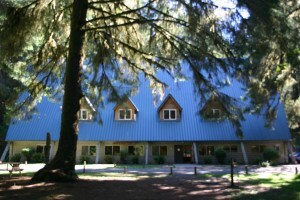 This cabin is often used for kitchen help or other adult support staff for the event. 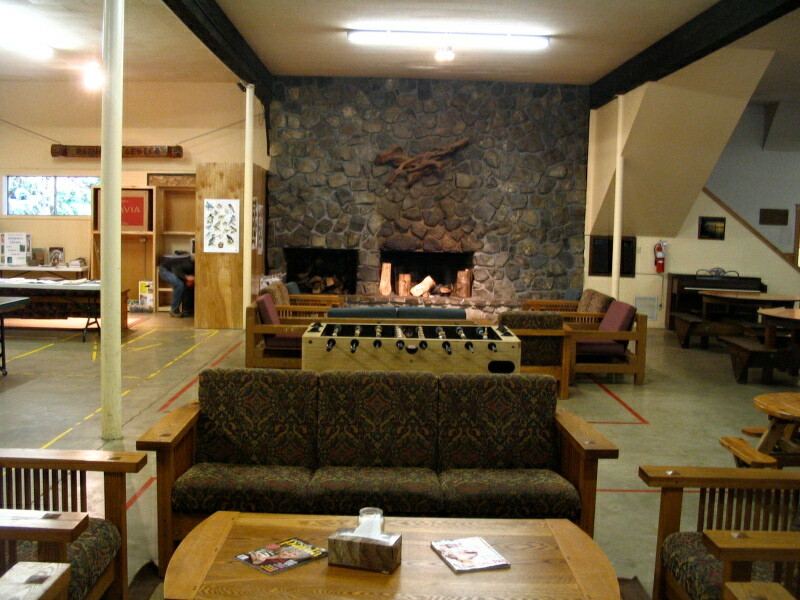 A large activity area with a stone faced fire place used for dining and meeting/recreation activities and a corners developed for our Nature Information Center displays and resources. 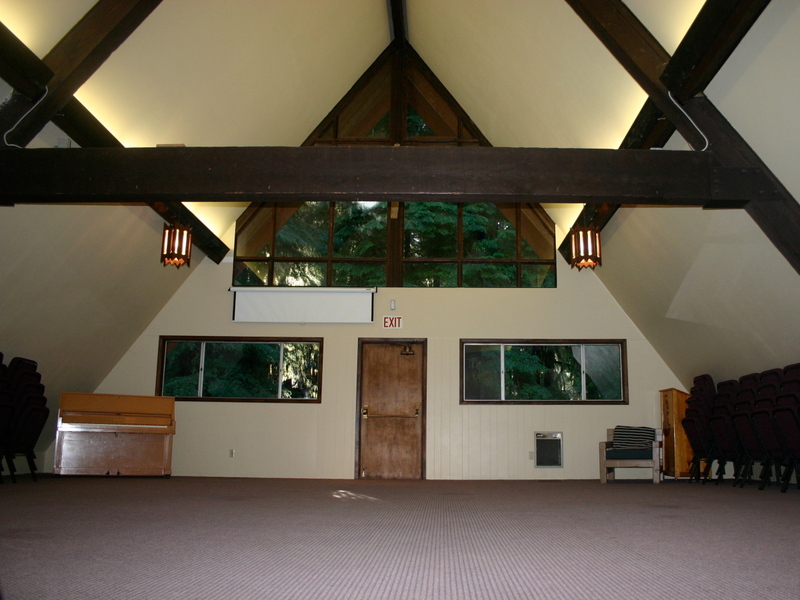 Our chapel provides a nice setting for large group meetings and presentations or group activities. 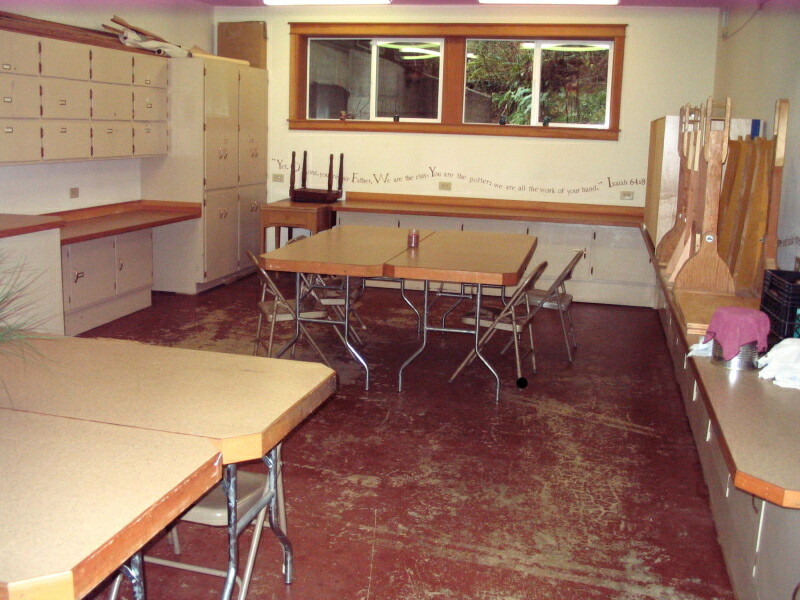 The classroom is well suited for group table activities. 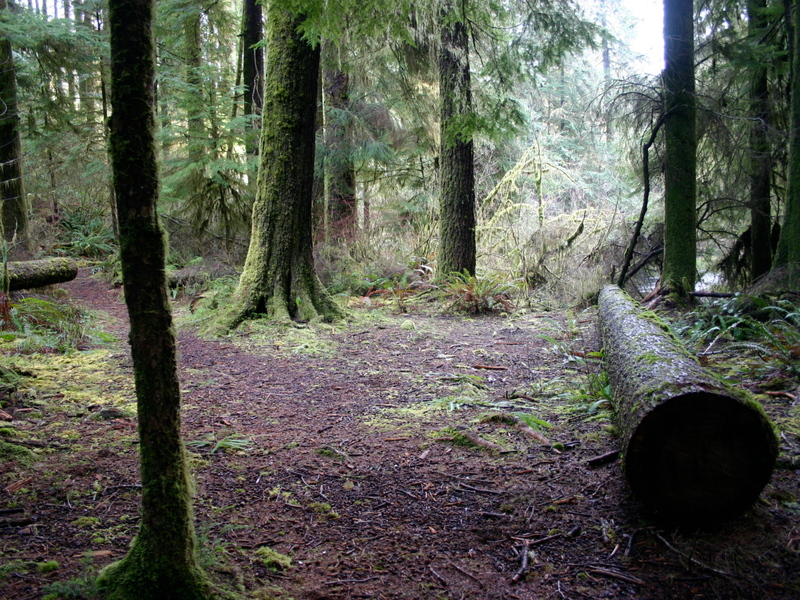 This location in the forest provides an excellent location for an outdoor classroom. There are many suitable locations for outdoor instruction. 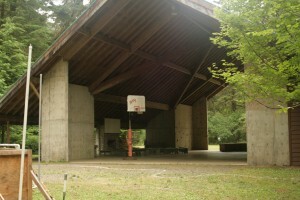 A large, open recreation field is maintained adjacent to the Multi Purpose building which includes a “backstop” structure for playing ball. 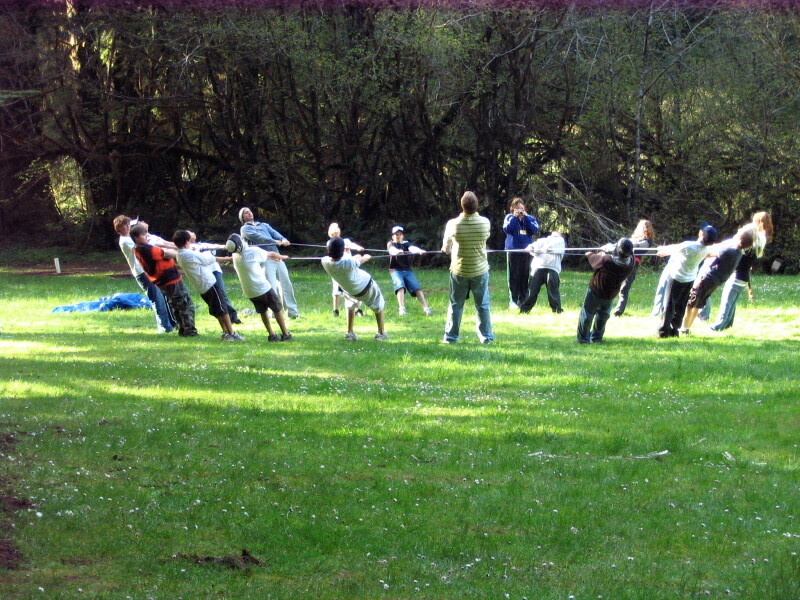 A smaller, open multipurpose field is maintained on the opposite side of the Multi Purpose building with horse shoe pits and pegs and a fire pit gathering area. 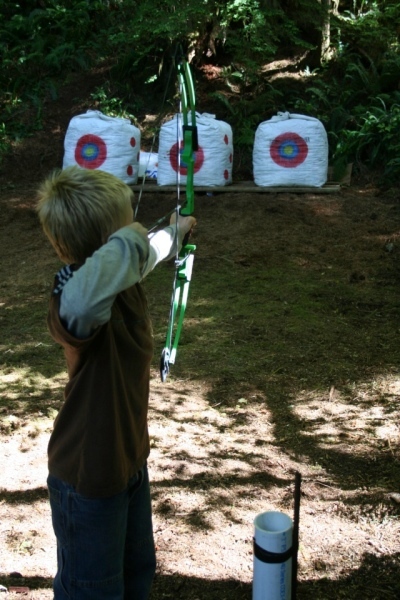 An archery range with target equipment provides a safe place for this popular outdoor activity. 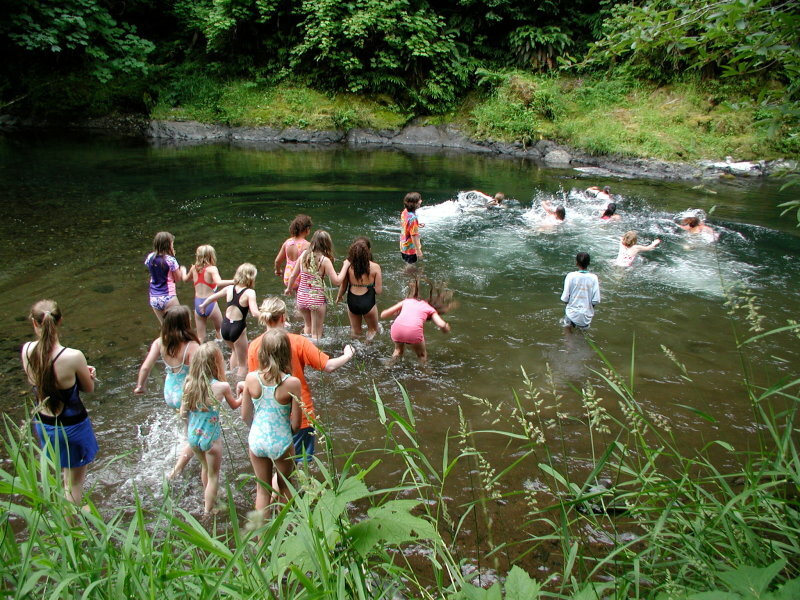 A creek side location at the far end of the Drift Creek loop is designated as the swimming hole. A certified life guard is required and there is appropriate instructional and safety signage with clothing/towel hanging device.